Son of John Westgarth, surveyor-general of customs for Scotland, was born at Edinburgh. He was educated at the high schools at Leith and Edinburgh, and at Dr Bruce’s school at Newcastle-on-Tyne. He then entered the office of G. Young and Company of Leith, who were engaged in the Australian trade, and realizing the possibilities of the new land, decided to emigrate to Australia. 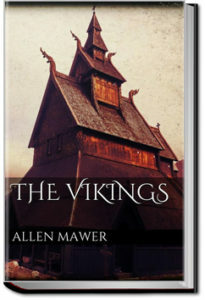 He arrived in Melbourne, then a town of three or four thousand inhabitants, in December 1840. When the new colony was constituted Westgarth headed the poll for Melbourne at the election for the legislative council. He had had many activities during the previous 10 years. He revisited Australia in 1888 and was everywhere welcomed. When the Melbourne international exhibition was opened he walked in the procession through the avenue of nations alongside Mr Francis Henty, then the sole survivor of the brotherhood who founded Victoria. 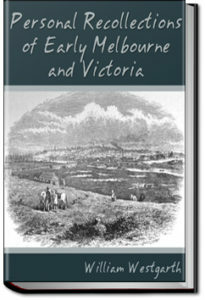 As a result of his visit two volumes appeared Personal Recollections of Early Melbourne and Victoria, in 1888, and Half a Century of Australasian Progress, in 1889. Returning to Great Britain Westgarth died suddenly at Edinburgh on 28 October 1889. He married in 1853 and left a widow and two daughters.